Northern Bronze – Ready for Anything! Ringing handbells can be an esoteric adventure as it is, but you never know what is going to happen during the course of a concert season. Northern Bronze, a five-octave community ensemble that was spawned in 2003 in northern Vermont, has learned to expect the unexpected, when it comes to performances. This group of musicians has played at many memorable venues including Burlington’s First Night, Farmers’ Night at the Vermont State House in Montpelier where musical groups are sponsored by State Representatives to perform directly in the House of Representatives chamber, and in towns all across northern Vermont. 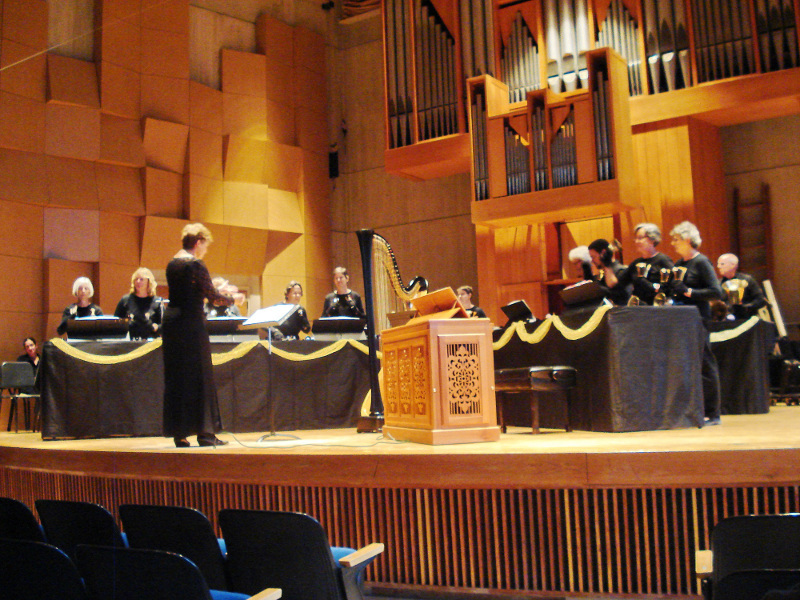 Northern Bronze was also pleased to be the featured performers in the University of Vermont recital hall during the United Church of Christ Musicians’ Association (UCCMA) Conference in 2012. The group prides itself on the interesting music it is willing to perform. Recent concerts have featured all jazz music, replete with drums and string bass, while another concert was comprised entirely of show tunes, making the music truly accessible to the audience. 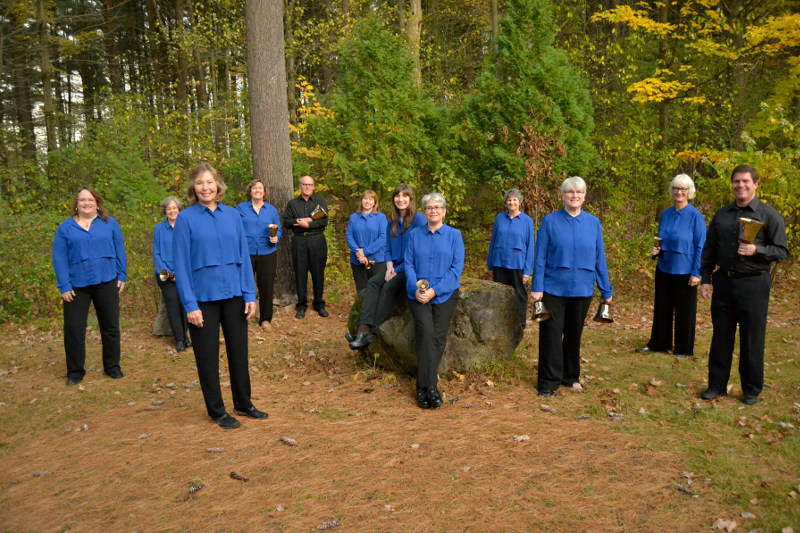 Northern Bronze has had a long-running collaboration with Bella Voce, an auditioned women’s chorus which is also based in northern Vermont. During joint concerts, Northern Bronze performs a bell processional, accompanies the chorus and rings several solo pieces. The combination of two musical ensembles makes the concert experience much more rich for the audience, and introduces “fans” of both groups to each other resulting in larger future audiences. Over the years, some interesting things have happened at these concerts. There was the time when a ringer was called home to Puerto Rico on urgent family matters a week before the concerts. There were two wonderful substitute ringers who managed to share the repertoire and pull off the difficult music after only two additional emergency rehearsals. Then, at noon on the day of the same concert, a second ringer became very ill. Again, the ensemble rallied to fill in the missing bells. It is really true that handbell musicians all participate in a team sport! Northern Bronze members know that once they start ringing bells, they should be prepared for just about anything. A bat flew around their heads during a recent winter performance. Tears stream down faces of audience members at times, and Northern Bronze hopes it is because of the emotion of the music! Recently one tear-stained man said that he hadn’t heard the piece they had played for over 60 years and it meant so much to him to hear it again after all these years. Unexpected audience reactions keep them on their toes! A group of women spontaneously leaped out of their seats and started dancing and singing at a recent jazz concert, and sometimes voices, some strong and intentional, and others barely audible, have sung Holiday songs and show tunes right along with the group. A reticent teenager was willing to let the director know that a performance of a current popular song brought chills down his spine. Northern Bronze members enjoy the interactions with audience members that inevitably occur after each concert. “Can I pick up the bell?” “How much do these babies cost?” “Oh! You’ve got the whole score for music? I thought it would just be your notes!” “What’s up with the gloves?” Northern Bronze members love introducing folks of all ages to the magical and intriguing art of handbell ringing. Northern Bronze has learned through time to be ready for anything when it comes to performing! Just keep smiling. 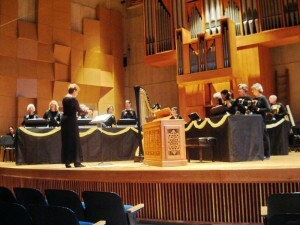 If you are in the northern Vermont area — come check out when the next concerts will be on northernbronze.org. See you then! 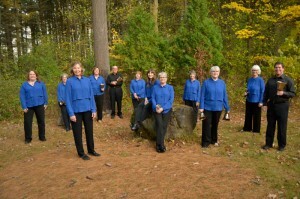 Each month, Area 1 will feature one handbell ensemble each month on the Area 1 website. There are many talented, dedicated ringers spread throughout Area 1, and they deserve to shine in the spotlight. If you are part of a group and you want to be featured in an upcoming month, please let me know by sending an email to webmaster.area1@handbellmusicians.org. Send me a short article about your group, what neat things you’ve done or have scheduled, and a picture or two.